What I know for sure? That my purpose in life is to help people find freedom – financial freedom, lifestyle freedom – in a business of their own. So, I said YES when Wells Fargo (@WellsFargo) asked me to participate in the Wells Fargo Works Project, to help James and Deundra Hundun of U.A. Academy. Together, we put together a marketing plan, built a rockin’ website, energized credit card customer payments, streamlined organizational systems and cranked up sales. It was a BLAST! Check out the video! James and Deundra inspired me with their commitment to their family and their community…and their passion for good business! This is the kick off of an amazing contest! 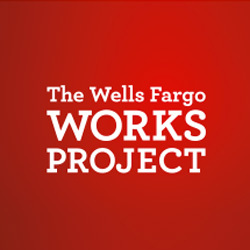 Enter the contest and you could win the #WellsFargoWorks Project experience AND $25,000!!! for your business! My purpose: to help you find freedom! I love when I can share a new, cool way to get energized and really profitable. Special THANKS to James and Deundra Hundon, Wells Fargo, Leslie Tagorda, Michael Volpatt and the Magical Elves. I am so grateful to participate in this awesome program with you! This contest could provide a leg up for your business, and help you take it to the next level. Enter here…and spread the word to your business building friends!